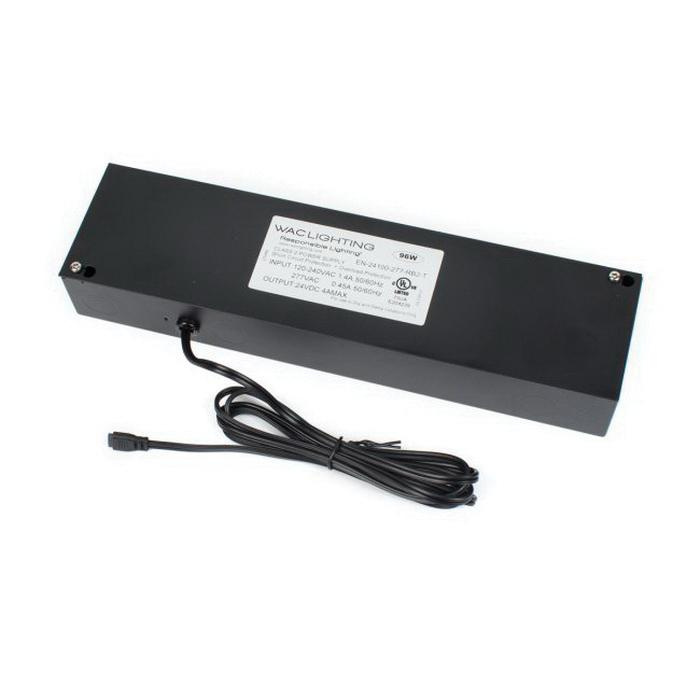 WAC Lighting InvisiLED® Low-voltage remote Class 2 transformer has voltage rating of 120/24-Volt AC/DC and input current rating of 0.83-Amp. It has power rating of 100-Watts and frequency rating of 25-Kilo-Hz. Transformer has thermoplastic construction. It measures 6-5/8-Inch x 1-5/8-Inch x 1-1/8-Inch. It withstands temperature rating of -20 to 50 deg C. Transformer is UL/cUL listed.